Come by and play today! North Ridge Tennis and Golf Club (NRTG) is Northeast Ohio's premier destination for indoor tennis, golf, pickleball, and fitness. NRTG's world class staff is highly trained and here to meet the needs of all members and clients. NRTG features 8 U.S Open Plexipave cushioned tennis courts that are climate controlled to provide a comfortable playing environment. Our courts were made according to professional standards. Due to the cushioned nature, it is easier on the body than traditional indoor hard courts. Click﻿ on the button below to learn more about the tennis services we offer. ​NRTG offers 8 indoor pickleball courts that are climate controlled. These courts are of professional quality and can be used at anytime of the day after reservation. ​Please click on the link below to learn more about pickleball opportunities. Please contact the front desk at 440-327-2114 or stop in to see us if you are interested in any of these services. NRTG features a two story facility with indoor and outdoor social areas, an upstairs and downstairs viewing area, kitchen, lounge, and full service restrooms. We hold many social events throughout the year and offer various complimentary items and services to our members. Click on the button below to learn more. NRTG offers a full service fitness studio fully equipped with the most cutting edge equipment. 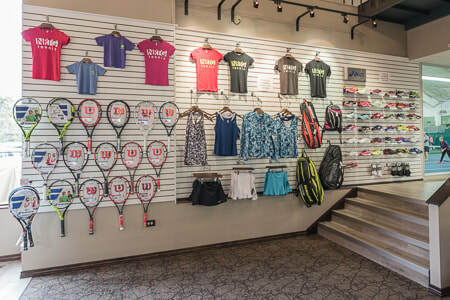 Our studio ​has one of Ohio's top personal trainers who specializes in tennis development and injury rehab/prevention. Click on the button below to learn more about personal training and our fitness studio. NRTG has four fully computerized indoor golf simulators. Each simulator has over 50 different golf courses to choose from, a green for putting practice, and several different driving ranges. Click below to learn more about indoor golfing. Open daily from 8:00 AM until one hour after the last booked court time. Open 8:00 AM until one hour after the last booked court time.